Engagaing, interactive speaker who specialises in giving practical, results and profit-oriented advice. - keynote speaker and author for the ambitious managers and directors of growing businesses. After running his own restaurants, recording studio and training companies, Robert spent five years leading training and consultancy programmes for entrepreneurial businesses at Warwick Business School. He is not full of theoretical rhetoric; he offers practical solutions - tangible business results. 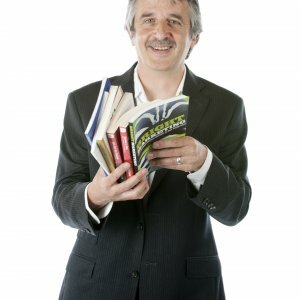 Robert’s work on marketing (Customer Is King) and strategy (Kick-Start Your Business) are business best-sellers and have been acted upon by thousands of growing businesses - he has been described as 'one of the UK's leading marketing specialists' and 'Mr Entrepreneur'. His latest book is 'Grow Your Service Firm'. Robert's track record at helping businesses is very impressive. Add to this his broad experience at Board Level and you will understand how and why he uniquely adds value to all the businesses that he works with. 10 challenging things to do right now to significantly grow your sales and profits. A no-nonsense, straight down the line approach to running a better business. Now!